Who are Iran’s resistance units? Resistance units are the smallest units of the Resistance’s force; the ‘resistance units’ are the fundamental blocks of the MEK network inside Iran. A resistance unit is a group of more than two individuals formed in a neighborhood, university, factory, school, etc. which is in contact with the MEK and acts against the religious dictatorship ruling Iran. The ‘resistance units’ are the fundamental blocks of the MEK network inside Iran that are active in overthrowing the dictatorship of Velayat-e-faqih to liberate Iran and restore popular sovereignty. As the resistance units are integrated in the society it’s a hard task for the enemy to identify them, thus, while maintaining their security, they can significantly strike at the enemy and actively participate in organizing social protests. What is the history of resistance units? A ‘resistance unit’ is a term that was first introduced by Che Guevara during the Latin American revolutions. They were units that fought against the dictators of these countries. The term entered the world’s literature then after and in Iran these units were referred to as ‘resistance cells’ during 1980s. The resistance units have stemmed from a strategy which aims at the overthrow of a dictatorial regime. When a group of elites rule the country and recognize no rights for the people, this is a dictatorial regime and the people have the right to revolt and overthrow it. In the 1980s, Iran’s resistance units were referred to as ” resistance cells”, but since the beginning of September 2013, following the Iranian regime’s attack on Camp Ashraf which resulted in the death of 52 of MEK members, Massoud Rajavi, Iran’s Resistance leader, announced the roadmap for creating 1,000 Ashrafs (resistance units) inside Iran. Following the protests in early 2018 these units began their activities widely throughout Iran. Are the resistance units separated entities from the society? Resistance units have stemmed from the people and continue to survive by their support. They courageously organize the uprising and have a leading role in the battle against the corrupt and criminal forces of the enemy. The resistance units’ members honestly pursue the goals of the resistance’s leadership and promote them. 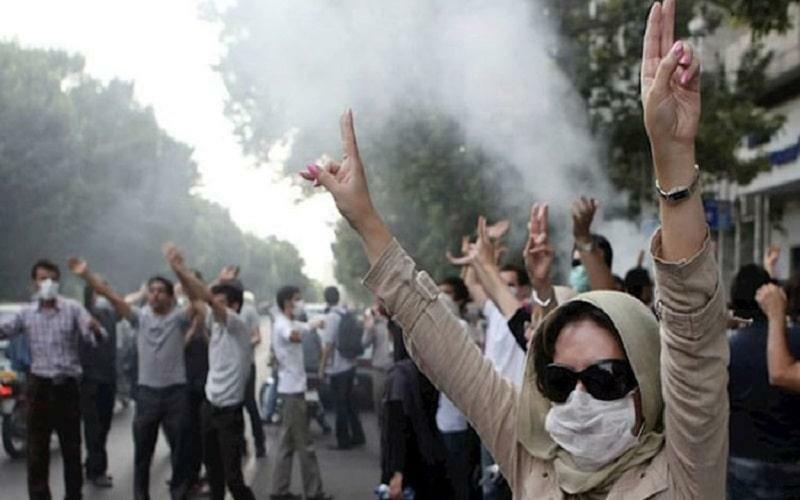 They deeply believe that the overthrow of the clerical regime can be achieved by their dedication to this cause and by showing courage in confronting the mullahs’ mercenaries. It was so helpful about what happens in Iran’s society and how the Iranian people continue the struggle to achieve freedom in form resistance units.